Is a Tanzanian oil and gas exploration company headquartered in Dar es Salaam. 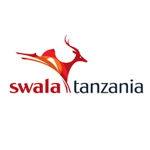 It was incorporated in 2011, and listed on Dar es Salaam Stock Exchange in August 2017(99,954,467 shares at 500 per share) as SWALA. It holds the exploration licenses for the Kilosa-Kilombero and Pangani fields, both located in the East African Rift.